With two weeks to go until the vote closes at The National Wallace Monument in Stirling, the public are urged to have their say in deciding who will be Scotland’s first female in the legendary Hall of Heroes. Almost 4,000 votes have been cast to date from across the globe, both online and at The National Wallace Monument, since the campaign launched in January. Fourteen remarkable women are on the shortlist and The National Wallace Monument is canvassing voters to determine who will be the first woman to join other greats including King Robert the Bruce, Sir Walter Scott and Robert Burns, in the famous gallery. With the deadline of March 31 nearing, The National Wallace Monument has revealed there are four front-runners in the competition. 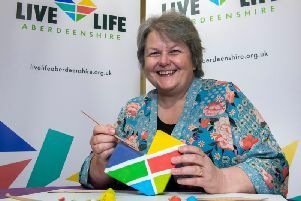 Zillah Jamieson, Chair of Stirling District Tourism, the charity responsible for The National Wallace Monument, said; “The response to voting so far has been incredible, with thousands of votes already recorded, and we are urging everyone who wants to have their say to cast their vote before it’s too late. The public can cast their vote on the shortlist online now at www.nationalwallacemonument.com, or via a voting ballot in person at the Monument. Included on the shortlist in the Arts, Culture & Sport category are Gaelic Poet Màiri Mhòr nan Òran (1821-1898), Glasgow Artist Margaret Macdonald Mackintosh (1864-1933), Folk Singer, Lecturer & Musician Jean Redpath (1937-2014) and Champion Swimmer Nancy Riach (1927-1947). Doctor and suffragist Elsie Inglis (1864-1917), Doctor and founder of the Edinburgh School of Medicine for Women Sophia Jex-Blake (1840-1912) and Co-Founder of Maggie’s Centres Maggie Keswick Jencks (1941-1995) make up the shortlist in the Medicine Category. From the Science & Engineering category the shortlisted names are automobile engineer, racing car driver and entrepreneur Dorothée Pullinger (1894-1986), the first British woman marine engineer Victoria Drummond (1894-1978), the first female science graduate from Edinburgh University Chrystal MacMillan (1872-1937), and scientist, astronomer, mathematician and writer Mary Somerville (1780-1872). Scotland’s first female archaeologist, Christian Maclagan (1811-1901), WWII hero Jane Haining (1897-1944) and Healthcare, Social Welfare & Education Missionary Mary Slessor (1848-1915) complete the shortlist in the Public Life category.